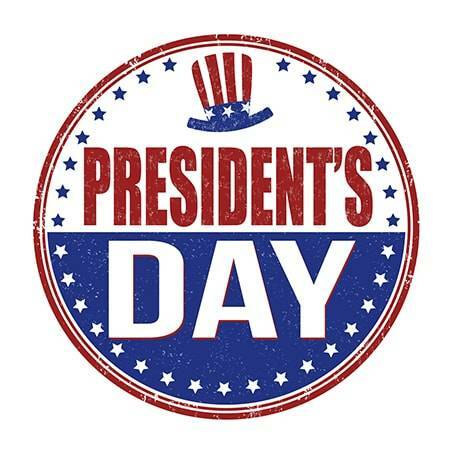 Let’s celebrate President’s Day over savings and wine! 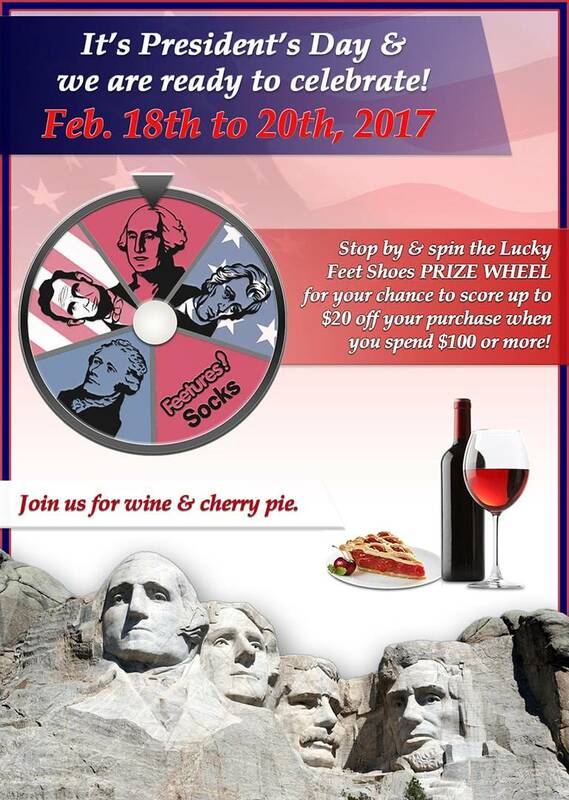 Stop by and spin the Lucky Feet Shoes PRIZE WHEEL for your chance to score up to $20 off your purchase when you spend $100 or more! Check out New Spring Arrivals and experience the most comfortable shoes this coming season. Discover ultimate comfort over a glass of wine and cherry pie. **Prize amount ranges between $1 to $20.